1. Lee CY, NL Chong & HH Yap. 1993. A study on domiciliary cockroach infestation in Penang, Malaysia. Journal of Bioscience 4: 95-98. 2. Yap HH, NL Chong, AES Foo & CY Lee. 1994. Dengue vector control: present status and future prospects. Kaohsiung Journal of Medical Science 10: 102-108. 3. Lee CY, NL Chong & HH Yap. 1994. Laboratory evaluation of three traps against Periplaneta americana (L.) and Blattella germanica (L.). Tropical Biomedicine 11: 11-15. 4. Yap HH & CY Lee. 1994. A preliminary study on species composition of household ants in Penang Island, Malaysia. Journal of Bioscience 5: 64-66. 5. Yap HH, CY Lee, NL Chong, R Baba & HT Tan. 1995. Laboratory bioassays of Malaysian Standard mosquito mat formulation against Aedes aegypti (L.) and Culex quinquefasciatus (Say) using two test methods. Journal of Bioscience 6: 86-93. 6. Yap HH, CY Lee, NL Chong, AES Foo & MP Lim. 1995. Oviposition site preference of Aedes albopictus in the laboratory. Journal of American Mosquito Control Association 11: 128-132. 7. Yap HH, SK Lim & CY Lee. 1995. Laboratory larvicidal efficacy of etofenprox (Trebon®) against four species of mosquitoes of public health importance. International Pest Control 37: 142-143. 8. Yap HH, CY Lee, AM Yahaya, R Schenker & S Janssen. 1995. Residual efficacy of lufenuron (Instar®) against Blattella germanica and Periplaneta americana. Arthropod Pest Management 20: 358. 9. Lee CY, HH Yap, NL Chong & RST Lee. 1996. Insecticide resistance and synergism in field-collected German cockroaches (Dictyoptera: Blattellidae) from Peninsular Malaysia. Bulletin of Entomological Research 86: 675-682. 10. Yap HH, AES Foo, CY Lee, NL Chong, AH Awang, R Baba & AM Yahaya. 1996. Laboratory and field trials of fenthion and cyfluthrin against Mansonia uniformis larvae. Journal of Vector Ecology 21: 146-149. 11. Yap HH, MP Lim, NL Chong & CY Lee. 1996. Efficacy and sublethal effects of mosquito coils on Aedes aegypti and Culex quinquefasciatus (Diptera: Culicidae). Pp. 177 – 184. Proceedings of the Second International Conference of Insect Pests in the Urban Environment 1996 (K. Wildey, ed.). Exeter Press, UK. 12. Lee CY, HH Yap & NL Chong. 1996. Insecticide toxicity on the adult German cockroach, Blattella germanica (L.) (Dictyoptera: Blattellidae). Malaysian Journal of Science 17A: 1 – 9. 13. Lee CY, HH Yap & NL Chong. 1996. Comparison of selected biological parameters of laboratory susceptible and field collected strains of the German cockroach, Blattella germanica (L.) (Dictyoptera: Blattellidae). Malaysian Journal of Science 17A: 37-48. 14. Lee CY, CY Lim & HH Yap. 1996. Contact toxicity of bendiocarb against three species of Malaysian household ants (Hymenoptera: Formicidae). Journal of Bioscience 7: 79-82. 15. Yap HH, CY Lee, NL Chong, AH Awang, AM Yahaya & R Baba. 1996. Performance of mosquito coil formulations containing transfluthrin in an urban squatter environment. Tropical Biomedicine 13: 101-103. 16. Yap HH, NL Chong, CY Lee & CA Koay. 1997. Field-simulated residual efficacy of beta cyfluthrin against Anopheles sinensis Wiedemann. Southeast Asian Journal of Tropical Medicine and Public Health 28: 233-234. 17. Lee CY. 1997. Household insecticide products. pp 104-107. In Chemical methods for the control of vectors and pests of public health importance (Chavasse DC & HH Yap, eds.). WHO/CTD/WHOPES/97.2. World Health Organization, Geneva, Switzerland. 18. Lee CY. 1997. Medical importance of domiciliary cockroaches. Singapore Microbiologist 11: 14 –17. 19. Yap HH, CY Lee & NL Chong. 1997. Mansonia vector control: Problems and possibilities. Vector Journal 3: 35-46. 20. Lee CY. 1997. Insecticide resistance and its underlying mechanisms in the German cockroach, Blattella germanica (Linn.) (Dictyoptera: Blattellidae). Journal of Bioscience 8: 156-172. 21. Lee CY, KM Loke, HH Yap & ASC Chong. 1997. Baseline malathion and permethrin susceptibility in field collected Culex quinquefasciatus (Say) mosquitoes from Penang, Malaysia. Tropical Biomedicine 14: 87-91. 22. Lee CY, HH Yap & NL Chong. 1997. Elevated esterase detection in insecticide-resistant German cockroaches (Dictyoptera: Blattellidae) using modified Pasteur-Georghiou’s filter-paper method. Tropical Biomedicine 14: 81-86. 23. Lee LC & CY Lee. 1998. Characterization of pyrethroid and carbamate resistance in a Malaysian field collected strain of the German cockroach, Blattella germanica (L.) (Dictyoptera: Blattellidae). Tropical Biomedicine 15: 1 – 9. 24. Lee CY. 1998. Control of insecticide-resistant German cockroaches, Blattella germanica (L.) (Dictyoptera: Blattellidae) in food-outlets with hydramethylnon-based bait stations. Tropical Biomedicine 15: 45-51. 25.Chong ASC, LC Gabriel, CY Lee & HH Yap. 1998. Contact toxicities of etofenprox and bendiocarb against the Odorous house ant (Tapinoma sessile Say). Malaysian Applied Biology 27: 127-129. 26. Lee CY, HH Yap & NL Chong. 1998. Sublethal effects of deltamethrin and propoxur on German cockroaches, Blattella germanica (L.) (Dictyoptera: Blattellidae). Entomologia Experimentalis et Applicata 89: 137-145. 27. Lee CY, LC Lee, BH Ang & NL Chong. 1999. Insecticide resistance in the German cockroach from hotels and restaurants in Malaysia. p. 171 – 182. In Proceedings of the Third International Conference on Urban Pests (Robinson WH, Rettich R & Rambo G, eds). Graficke zavody Hronov, Czech Republic. 28. Scharf ME, CY Lee, JJ Neal & GW Bennett. 1999. Cytochrome P450 MA expression in insecticide-resistant German cockroaches (Dictyoptera: Blattellidae). Journal of Economic Entomology 92: 788 – 793. 29. Lee CY. 1999. The worship of termite mounds. Isoptera Newsletter 9: 2. 30. Lee CY & LC Lee. 2000. Diversity of cockroach species and effect of sanitation on level of cockroach infestation in residential premises. Tropical Biomedicine 17: 39 – 43. 31. Lee CY & CY Heng. 2000. Effects of food and water deprivation on nymphal development, adult fecundity and insecticide susceptibility in German cockroaches, Blattella germanica (L.). Tropical Biomedicine 17: 27 – 34. 32. Lee CY, MS Khalid, LC Lee & NL Chong. 2000. Notes on biological parameters of a new domiciliary pest, smooth cockroach Symploce pallens (Stephens) (Dictyoptera: Blattellidae). Tropical Biomedicine 17: 49 – 52. 33. Lee CY. 2000. Performance of hydramethylnon- and fipronil-based containerized baits against household ants in residential premises. Tropical Biomedicine 17: 45 – 48. 34. Lee CY. 2000. Sublethal effects of insecticides on longevity, fecundity and behaviour of insect pests: a review. Journal of Bioscience 11: 107 – 112. 35. Lee CY, J Hemingway, HH Yap & NL Chong. 2000. Biochemical characterization of insecticide resistance in the German cockroach (Dictyoptera: Blattellidae) from Peninsular Malaysia. Medical and Veterinary Entomology 14: 11 – 18. 36. Lee CY & LC Lee. 2000. Influence of sanitary condition on field performance of chlorpyrifos-based baits against American cockroaches, Periplaneta americana (L.) (Dictyoptera: Blattidae). Journal of Vector Ecology 25: 218 – 221. 37. Na JPS & CY Lee. 2001. Identification key to common urban pest ants in Malaysia. Tropical Biomedicine 18: 1 – 17. 38. Chong ASC, R Hashim, CY Lee & A Ali. 2002. Partial characterization and activities of proteases from digestive tract of discus fish (Symphysodon aequifasciata). Aquaculture 203: 321 – 333. 39. Lee CY. 2002. Control of foraging colonies of subterranean termites, Coptotermes travians (Haviland) (Isoptera: Rhinotermitidae) in Malaysia using hexaflumuron baits. Sociobiology 39: 411 – 416. 40. Lee CY. 2002. Subterranean termite pests and their control in the urban environment in Malaysia. Sociobiology 40: 3 – 9. 41. Lee CY, CY Lim & I Darah. 2002. Survey on structure-infesting ants (Hymenoptera: Formicidae) in food preparative outlets. Tropical Biomedicine 19: 21 – 26. 42. Lee CY & JAC Soo. 2002. Impact of starvation on intrinsic rate of increase (rn) of the German cockroach, Blattella germanica (L.) (Dictyoptera: Blattellidae), in the presence of an insecticidal bait. Tropical Biomedicine 19: 103 – 108. 43. Lee CY & JAC Soo. 2002. Potential of glucose-aversion development in field collected populations of the German cockroach, Blattella germanica (L.) (Dicytoptera: Blattellidae) from Malaysia. Tropical Biomedicine 19: 33 – 39. 44. Chong A, HH Yap, NL Chong & CY Lee. 2002. Effects of starvation on nutrient distribution in the Pharaoh ant, Monomorium pharaonis (L.) (Hymnoptera: Formicidae) workers and various larval stages. pp. 121 – 128. In: Proceedings of Fourth International Conference on Urban Pests (SC Jones, J Zhai & WH Robinson, eds), Pocahontas Press, Blacksburg, VA.
45.Lee CY. 2002. Tropical household ants – pest status, species diversity, foraging behavior and baiting studies. pp. 3 – 18. In: Proceedings of Fourth International Conference on Urban Pests (SC Jones, J Zhai & WH Robinson, eds), Pocahontas Press, Blacksburg, Virginia, USA. 46. Ngee PS & CY Lee. 2002. Colony characterization of a mound-building subterranean termite, Globitermes sulphureus (Isoptera: Termitidae) using modified single-mark recapture technique. Sociobiology 40: 525 - 532. 47. Lee CY & LC Lee. 2002. Field and laboratory evaluation of a boron-based containerised dual bait formulation against the Pharaoh ant, Monomorium pharaonis (L.) (Hymenoptera: Formicidae). Sociobiology 40: 655 – 665. 48. Lee KM & CY Lee. 2002. Prevalence of insecticide resistance in field collected populations of the German cockroach, Blattella germanica (L.) (Dictyoptera: Blattellidae). Medical Entomology and Zoology 53: 219 – 225. 49. Lee CY, PS Ngee, LC Lee & J Na. 2003. Notes on termite species diversity in Pantai Acheh Forest Reserve, Penang Island, Malaysia. In: Pantai Acheh Forest Reserve: A Case for a State Park (Chan LK, ed.). Universiti Sains Malaysia Press, Penang, Malaysia. 50. Lim SP & CY Lee. 2003. Nestmate recognition and intercolonial aggression in the crazy ant, Paratrechina longicornis (Latreille) (Hymenoptera: Formicidae). Sociobiology 41: 295 – 305. 51. Lee CY, PS Ngee & LC Lee. 2003. Foraging populations and territories of a mound-building higher subterranean termite, Microtermes pakistanicus Ahmad (Isoptera: Macrotermitinae). Sociobiology 41: 307 – 316. 52. Jahangir K, HH Yap, J Zairi, CY Lee & MM Saira Banu. 2003. The effect of cloth wetted with sugar solution and water on prolonging the lifespan of Aedes aegypti (Linnaeus) and Aedes albopictus (Skuse) under laboratory condition. Tropical Biomedicine 20: 145 – 152. 53. Lee CY, LC Lee, JPS Na, PY Loke, KT Lim & EHH Teo. 2003. Evaluation of methoprene granular baits against foraging Pharaoh ant, Monomorium pharaonis (Hymenoptera: Formicidae). Sociobiology 41: 717 – 723. 54. Lee CY, J Yap, PS Ngee & Z Jaal. 2003. Foraging colonies of a higher mound-building subterranean termite, Globitermes sulphureus (Haviland) in Malaysia. Japanese Journal of Environmental Entomology and Zoology 14: 105 – 112. 55. Lee CY & JW Yonker. 2003. Laboratory and field evaluations of lithium perfluorooctane sulfonate baits against domicilliary and peridomestic cockroaches in Penang, Malaysia. Medical Entomology and Zoology 54: 381 – 388. 56.Ye W, CY Lee, RH Scheffrahn, JA Aleong, NY Su, GW Bennett & ME Scharf. 2004. Phylogenetic relationships of nearctic Reticulitermes species (Isoptera: Rhinotermitidae) with particular reference to Reticulitermes arenincola Goellner. Molecular Phylogenetics and Evolution 30: 815 – 822. 57. Loke PY & CY Lee. 2004. Foraging behavior of field populations of the big-headed ant, Pheidole megacephala (Fabricius) (Hymenoptera: Formicidae). Sociobiology 43: 211 – 219. 58. Lee CY. 2004. Current termite management in Peninsular Malaysia. pp. 37 – 42. In: Proceedings of the First Pacific Rim Termite Research Group Meeting (K. Tsunoda, ed.). Kyoto University, Japan. 59. Lee CY, PS Ngee, LC Lee & JPS Na. 2004. Survey of termite diversity in Pantai Acheh Forest Reserve, Penang Island, Malaysia. Journal of Bioscience 15: 91 – 99. 60. Ngee PS, A Tashiro, T Yoshimura, Z Jaal & CY Lee. 2004. Wood preference of selected Malaysian subterranean termites (Isoptera: Rhinotermitidae, Termitidae). Sociobiology 43: 535 – 550. 61. Eow AGH, ASC Chong & CY Lee. 2004. Behavioral plasticity in polyethism of Monomorium spp. (Hymenoptera: Formicidae). Sociobiology 43: 557 – 564. 62. Lee LC & CY Lee. 2004. Insecticide resistance profiles and possible underlying mechanisms in German cockroaches, Blattella germanica (L.) (Dictyoptera: Blattellidae) from Peninsular Malaysia. Medical Entomology and Zoology 55: 77 – 93. 63. Appel AG, JPS Na & CY Lee. 2004. Temperature and humidity tolerances of the ghost ant, Tapinoma melanocephalum (Fabricius) (Hymenoptera: Formicidae). Sociobiology 44: 89 – 100. 64.Ngee PS, T Yoshimura & CY Lee . 2004. Foraging populations and control strategies of subterranean termites with special reference to baiting (review paper). Japanese Journal of Environmental Entomology and Zoology 15: 197 – 215. 65. Eow AGH, ASC Chong & CY Lee. 2004. Colonial growth dynamics of tropical household ant species, Monomorium pharaonis, M. floricola and M. destructor (Hymenoptera: Formicidae). Sociobiology 44: 365 – 377. 66.Eow AGH, ASC Chong & CY Lee. 2005. Effects of nutritional starvation and satiation on feeding responses of tropical pest ants, Monomorium spp. (Hymenoptera: Formicidae). Sociobiology 45: 15 – 29. 67. Lee CY, C Vongkaluang & M Lenz. 2005. Termite management of multi-genera faunas. pp. 81 – 86. In: Proceedings of the Second Conference on Pacific-Rim Termite Research Group (K. Tsunoda, ed.). Kyoto University, Japan. 68. Bajomi D, CY Lee, SP Lim, J Szilagyi & J Schmidt. 2005. Elimination of Pharaoh’s ant, Monomorium pharaonis colonies with S-methoprene baits (Hymenoptera: Formicidae). Pp. 65 – 72. In: Proceedings of the Fifth International Conference on Urban Pests (CY Lee & WH Robinson, eds.). P&Y Design Network, Malaysia. 69. Lee CY, B Forschler & T Jenkins. 2005. Taxonomy questions on Malaysian termites (Isoptera: Termitidae) answered with morphology and DNA biotechnology. Pp. 205 – 211. In: Proceedings of the Fifth International Conference on Urban Pests (CY Lee & WH Robinson, eds.). P&Y Design Network, Malaysia. 70. Lim SP & CY Lee. 2005. Effects of juvenile hormone analogs on new reproductives and colony growth of Pharaoh ant, Monomorium pharaonis (L.) (Hymenoptera: Formicidae. Journal of Economic Entomology 98: 2169 – 2175. 71. Lim SP & CY Lee. 2005. Brood arrangement and food distribution amongst larvae under different colony conditions in the Pharaoh’s ants, Monomorium pharaonis (L.) (Hymenoptera: Formicidae). Sociobiology 46: 491 – 503. 72. Lim SP, KKK Chong, ASC Chong & CY Lee. 2005. Dietary influence on larval storage protein of the Pharaoh’s ant, Monomorium pharaonis (L.) (Hymenoptera: Formicidae). Sociobiology 46: 505 – 514. 73. Loke PY & CY Lee. 2005. Effects of colony composition and food type on foraging behavior of Monomorium orientale (Hymenoptera: Formicidae). Sociobiology 46: 595 – 602. 74. Lim SP & CY Lee. 2005. Effects of queen body parts on the production of new sexuals in the Pharaoh’s ant, Monomorium pharaonis (L.) (Hymenoptera: Formicidae). Sociobiology 46: 677 – 688. 75. Loke PY & CY Lee. 2006. Effects of colony composition and food type on nutrient distribution in colonies of Monomorium orientale Mayr (Hymenoptera: Formicidae). Journal of Economic Entomology 99: 129 – 133. 76. Loke PY & CY Lee. 2006. Influence of colony caste composition, food nutritional content and satiation on feeding behaviour of a tropical pest ant, Monomorium orientale (Hymenoptera: Formicidae). Sociobiology 47: 5 – 18. 77. Yeap BK, AS Othman & CY Lee. 2006. Phylogenetic relationship of the Asian subterranean termite, Coptotermes gestroi (Wasmann) and Philippine milk termite, Coptotermes vastator Light (Isoptera: Rhinotermitidae) as inferred from 16S mitochondrial DNA. Pp. 47 – 51. In: Proceedings of the Third Conference of Pacific Rim Termite Research Group (K Tsunoda, ed.). Kyoto University, Japan. 78. Yeoh BH & CY Lee. 2006. Evaluation of several novel and conventional termiticide formulations against the Asian subterranean termite, Coptotermes gestroi (Wasmann) (Isoptera: Rhinotermitidae). Pp. 79 – 83. In: Proceedings of the Third Conference of Pacific Rim Termite Research Group (K Tsunoda, ed.). Kyoto University, Japan. 79. Lee CY, LT Quah, BH Yeoh, YF How, KF Chong, BK Yeap, EK Tan, P Tan, SY Foo, SG Lam-Phua, LC Ng & P Koh. 2006. Insecticide resistance in field-collected populations of the German cockroach, Blattella germanica (L.) from Singapore. Pp. 52 – 58. In: Proceedings of the Pest Summit 2006. Singapore. 80. Duangkhae S, C Chatchawan & CY Lee. 2006. Field evaluation of a hydramethylnon gel bait formulation against German cockroaches in Bangkok, Thailand (Dictyoptera: Blattellidae). Medical Entomology and Zoology 57: 361-364. 81. Chong KF & CY Lee. 2006. Food preferences and foraging activity of field populations of the ghost ant, Tapinoma indicum (Forel) (Hymenoptera: Formicidae). Sociobiology 48: 875 – 883. 82. Eow AGH & CY Lee. 2007. Comparative nutritional preference of tropical household ants, Monomorium pharaonis (Linnaeus), Monomorium floricola (Jerdon) and Monomorium destructor (Jerdon) (Hymenotera: Formicidae). Sociobiology 49: 165 – 186. 83. Yeoh BH & CY Lee. 2007. Soil arthropods associated with termite bait monitoring stations in Malaysia. Sociobiology 49: 187 – 196. 84. Lee CY. 2007. Evaluation of bistrifluron as an above-ground bait against the Asian subterranean termite, Coptotermes gestroi (Wasmann) in Malaysia. Pp. 8 – 11. In: Proceedings of the Fourth Conference of the Pacific-Rim Termite Research Group (K. Tsunoda, ed.). Kyoto University, Japan. 85.Yeoh BH & CY Lee. 2007. Tunneling patterns of subterranean termites Coptotermes gestroi (Wasmann), Coptotermes curvignathus (Holmgren) and Coptotermes kalshoveni Kemner (Isoptera: Rhinotermitidae). Pp. 33 – 35. In: Proceedings of the Fourth Conference of the Pacific-Rim Termite Research Group (K. Tsunoda, ed.). Kyoto University, Japan. 86. Yeap BK, AS Othman & CY Lee. 2007. Molecular phylogenetics of Asian Coptotermes (Isoptera: Rhinotermitidae). Pp. 51 – 55. In: Proceedings of the Fourth Conference of the Pacific-Rim Termite Research Group (K. Tsunoda, ed.). Kyoto University, Japan. 87. Jenkins TM, SC Jones, CY Lee, BT Forschler, G Lopez-Martinez, NT Gallagher, G Greene, M Neal, B Thistleton, S Kleinschmidt & C Harvey. 2007. Phylogeography elucidates maternal origins of exotic Coptotermes gestroi (Isoptera: Rhinotermitidae). Molecular Phylogenetics and Evolution 42: 612 – 621. 88. Kistner DH, KF Chong and CY Lee. 2007. A new Malaysian myrmecophilous cricket (Orthoptera: Myrmecophilidae). Sociobiology 50: 173 – 182. 89. Lee CY, C Vongkaluang & M Lenz. 2007. Challenges to subterranean termite management in multi-genera faunas in South East Asia and Australia. Sociobiology 50: 213 – 221. 90. Yeap BK, AS Othman, VS Lee & CY Lee. 2007. Genetic relationship between Coptotermes gestroi (Wasmann) and Coptotermes vastator Light (Isoptera: Rhinotermitidae). Journal of Economic Entomology 100: 467 – 474. 91. Yeoh BH & CY Lee. 2007. Tunneling responses of the Asian subterranean termite, Coptotermes gestroi in termiticide-treated sand (Isoptera: Rhinotermitidae). Sociobiology 50: 457 – 468. 92. Yeoh BH & CY Lee. 2007. Tunneling activity, wood consumption and survivorship of Coptotermes gestroi, Coptotermes curvignathus and Coptotermes kalshoveni (Isoptera: Rhinotermitidae) in the laboratory. Sociobiology 50: 1087 – 1096. 93. Sudesh K, BY Tay & CY Lee. 2008. Occurrence of polyhdroxyalkanoate in the gut homogenate of phylogenetically higher termite, Macrotermes carbonarius. Canadian Journal of Chemistry 86: 512 – 515. 94. Neoh KB & CY Lee. 2008. Preliminary studies on flight activity of Macrotermes gilvus (Hagen) and Macrotermes carbonarius (Hagen) (Blattodea: Termitoidae: Termitidae). In: Proceedings of the Fifth Conference on Pacific-Rim Termite Research Group (K. Tsunoda, ed.) Kyoto University, Japan. 95. Lee CY. 2008. Sucrose bait base preference of selected urban pest ants (Hymenoptera: Formicidae). pp. 59 – 63. In: Proceedings of the Sixth International Conference on Urban Pests (W.H. Robinson & D. Bajomi, eds.). OOK-Press Kft, Budapest, Hungary. 96. Jahangir K, CY Lee & J Zairi. 2008. Effects of sugar and animal blood availability on attraction of Aedes spp. to humans. pp. 197 – 201. In: Proceedings of the 6th International Conference on Urban Pests (W.H. Robinson & D. Bajomi, eds.). OOK-Press Kft, Budapest, Hungary. 97. Neoh KB & CY Lee. 2009. Dipteran parasitism of subterranean termite soldiers, Macrotermes gilvus (Hagen) and Macrotermes carbonarius (Hagen) (Termitidae: Macrotermitinae). The 6th Pacific-Rim Termite Research Group Conference. Kyoto, Japan. 98. Wong NSC & CY Lee. 2009. Intra- and interspecific agonistic behaviour of Microcerotermes crassus Snyder (Blattodea: Termitidae). The 6th Pacific-Rim Termite Research Group Conference. Kyoto, Japan. 99. Yeap BK, AS Othman & CY Lee. 2009. Microsatellite markers for the Asian subterranean termite Coptotermes gestroi (Wasmann) (Blattodea: Rhinotermitidae). The 6th Pacific-Rim Termite Research Group Conference. Kyoto, Japan. 100. Lee CY. 2009. Feeding and foraging behaviour of tropical urban pest ants. SP World 37: 9 – 12. 101. Disney RHL, KB Neoh & CY Lee. 2009. A new species of scuttle fly (Diptera: Phoridae) parasitizing a termite (Isoptera: Termitidae) in Malaysia. Sociobiology 54: 89 - 94. 102. Chong KF & CY Lee. 2009. Evaluation of liquid baits against field populations of the longlegged ant, Anoplolepis gracilipes (Fr. Smith) (Hymenoptera: Formicidae). Journal of Economic Entomology 102: 1586 - 1590. 103. Chong KF & CY Lee. 2009. Influences of temperature, relative humidity and light intensity on the foraging activity of field populations of the longlegged ant, Anoplolepis gracilipes (Fr. Smith) (Hymenoptera: Formicidae). Sociobiology 54: 531 - 539. 104. Neoh KB & CY Lee. 2009. Flight activity and phenology of the Asian subterranean termite, Coptotermes gestroi (Wasmann) (Blattodea: Rhinotermitidae). Sociobiology 54: 521 - 530. 105. Yeap BK, AS Othman & CY Lee. 2009. Molecular systematics of Coptotermes (Isoptera: Rhinotermitidae) from East Asia and Australia. Annals of the Entomological Society of America 102: 1077 - 1090. 106. Neoh KB & CY Lee. 2009. Developmental stages and castes of two sympatric subterranean termites Macrotermes gilvus (Hagen) and Macrotermes carbonarius (Hagen) (Blattodea: Termitidae). Annals of the Entomological Society of America 102: 1091 - 1098. 107. Hashim R, JG Boon, O Sulaiman, F Kawamura & CY Lee. 2009. Evaluation of the decay resistance properties of Cerbera odollam extracts and their influence on properties of particle board. International Biodeterioration & Biodegradation 63: 1013 - 1017. 108. Yeap BK, AS Othman & CY Lee. 2009. Identification of polymorphic microsatellite markers for the Asian subterranean termite Coptotermes gestroi (Wasmann) (Blattodea: Rhinotermitidae). in (Almany GR, De Arruda, .....CY Lee, ...AS Othman...., BK Yeap et al. 2009. Permanent genetic resources added to Molecular Ecology Resources Database 1 May 2009 - 31 July 2009) Molecular Ecology Resources 9: 1460 - 1559. 109. Neoh KB & CY Lee. 2009. Flight activity of two sympatric termite species, Macrotermes gilvus (Hagen) and M. carbonarius (Hagen) (Blattodea: Termitidae). Environmental Entomology 38: 1697-1706. 110. Tay BY, BE Lokesh, CY Lee and K. Sudesh. 2010. Polyhydroxyalkanoate (PHA) accumulating bacteria from the gut of higher termite Macrotermes carbonarius (Blattodea: Termitidae). World Journal of Microbiology and Biotechnology. DOI 10.1007/s11274-009-0264-3. 111. Yamada A, S Saitoh, G Tokuda, S Fujii, N Endo, E Ueshima, Y Tawa, M Miyagi, H Makiya, N Shinzato, CY Lee & K Tsunoda. 2010. Genetic diversity of the Formosan subterranean termite, Coptotermes formosanus Shiraki in relation to the distribution of staphylinid termitophiles. pp. 89 - 94. In: The 7th Pacific-Rim Termite Research Group Conference. Kyoto, Japan. 112. Yusuf S, CY Lee & C Vongkaluang. 2010. The natural durability of several wood species against subterranean termite in Indonesia and Malaysia. pp. 107 - 110. In: The 7th Pacific-Rim Termite Research Group Conference. Kyoto, Japan. 113. Neoh KB, M Lenz & CY Lee. 2010. Replacement of reproductives in orphaned field colonies of Macrotermes gilvus and Macrotermes carbonarius (Blattodea: Termitidae). pp. 166 - 169. In: The 7th Pacific-Rim Termite Research Group Conference. Kyoto, Japan. 114. How YF & CY Lee. 2010. Fecundity, nymphal development and longevity of the tropical bed bug, Cimex hemipterus (Fabricius) (Hemiptera: Cimicidae). Medical and Veterinary Entomology. DOI 10.1111/j.1365-2915.2010.00852.x. 115. Bujang NS & CY Lee. 2010. Interspecific competition between Blattella germanica and Symploce pallens (Dictyoptera: Blattellidae). Tropical Biomedicine 27: 103 – 114. 116. Wong N & CY Lee. 2010. Influence of different substrate moistures on wood consumption and movement patterns of Microcerotermes crassus Snyder and Coptotermes gestroi Wasmann (Blattodea: Termitidae, Rhinotermitidae). Journal of Economic Entomology 103: 437 - 442. 117. Bujang NS & CY Lee. 2010. Biology of the smooth cockroach, Symploce pallens (Dictyoptera: Blattellidae). Journal of Economic Entomology 103: 443 - 447. 118. Chai RY & CY Lee. 2010. Insecticide resistance profiles and synergism in field populations of the German cockroach, Blattella germanica (L.) (Dictyoptera: Blattellidae) from Singapore. Journal of Economic Entomology 103: 460 - 471. 119. Wong N & CY Lee. 2010. Effects of disturbance and the presence of termite and other invertebrate carcasses at feeding sites on the behavior of Microcerotermes crassus Snyder (Blattodea: Termitidae). Sociobiology 55: 353 - 367. 120. How YF & CY Lee. 2010. Survey of bed bugs in infested premises in Malaysia and Singapore. Journal of Vector Ecology 35: 89 - 94. 121. How YF & CY Lee. 2010. Effects of life-stages and feeding regimes on active movement behavior of the tropical bed bug, Cimex hemipterus (Hemiptera: Cimicidae). Journal of Medical Entomology 47: 305 - 312. 122. Neoh KB, M Lenz & CY Lee. 2010. Impact of orphaning on field colonies of Macrotermes gilvus (Hagen) and M. carbonarius (Hagen) (Termitidae: Macrotermitinae). Insectes Sociaux. DOI 10.1007/s00040-010-0101-6. 123. Neoh KB & CY Lee. 2010. Behavioural and morphological changes in soldiers of Macrotermes gilvus (Termitidae: Macrotermitinae) parasitized by the fly Misotermes mindeni (Diptera: Phoridae). Environmental Entomology 39: 835 - 840. 124. Yeap BK, FM Dugal, AS Othman & CY Lee. 2010. Genetic relationship between Coptotermes heimi and Coptotermes gestroi (Isoptera: Rhinotermitidae). Sociobiology 56: 291 – 312. 125. Wong N & CY Lee. 2010. Intra- and interspecific agonistic behavior of the subterranean termite Microcerotermes crassus (Blattodea: Termitidae). Journal of Economic Entomology 103: 1754 – 1760. 126. Tee HS, AR Saad & CY Lee. 2010. Suitability of heat- and freeze-killed oothecae of the American cockroach (Dictyoptera: Blattidae) as hosts for an oothecal parasitoid, Aprostocetus hagenowii (Hymenoptera: Eulophidae). Journal of Economic Entomology 103: 1770 – 1774. 127. Chong KF & CY Lee. 2010. Inter- and intraspecific aggression in the longlegged ant, Anoplolepis gracilipes (Hymenoptera: Formicidae). Journal of Economic Entomology 103: 1775 – 1783. 128. How YF & CY Lee. 2010. Effects of temperature and humidity on survival and water loss of Cimex hemipterus (Hemiptera: Cimicidae). Journal of Medical Entomology 47: 987 – 995. 129. Neoh KB, NA Jalaludin & CY Lee. 2011. Evidence of colony elimination of a higher termite, Globitermes sulphureus (Blattodea: Termitidae) by bistrifluron bait. pp. 68 – 71. In: The 8th Pacific Rim Termite Research Group Conference, Bangkok, Thailand. 130. Lee CC & CY Lee. 2011. Population size and caste composition of a fungus-growing termite, Macrotermes gilvus (Blattodea: Termitidae). Pp. 78 – 82. In: The 8th Pacific Rim Termite Research Group Conference, Bangkok, Thailand. 131. Guswenrivo I, H Nagao & CY Lee. 2011. Analysis of cellulose and nitrogen content of nest materials of a higher termite Globitermes sulphureus (Haviland). Pp. 83 – 86. In: The 8th Pacific Rim Termite Research Group Conference, Bangkok, Thailand. 132. Veera Singham G, AS Othman & CY Lee. 2011. Preliminary detection of SSR markers in mound building termite, Macrotermes gilvus (Hagen) (Termitidae: Macrotermitinae). Pp. 166 – 170. In: The 8th Pacific Rim Termite Research Group Conference, Bangkok, Thailand. 133. Hu J, KB Neoh & CY Lee. 2011. Cuticular permeability of two sympatric species of Macrotermes (Blattodea: Termitidae). Pp. 171 – 175. In: The 8th Pacific Rim Termite Research Group Conference, Bangkok, Thailand. 134. Foo FK, G Veera Singham, AS Othman & CY Lee. 2011. Survey of natural parasitism of Macrotermes gilvus (Termitidae: Macrotermitinae) by Misotermes mindeni (Diptera: Phoridae) in Malaysia. pp. 182 – 185. In: The 8th Pacific Rim Termite Research Group Conference, Bangkok, Thailand. 135. Smith GB, G Veera Singham, MK Kuah & CY Lee. 2011. Two new inquiline silverfish (Zygentoma: Ateluridae, Lepismatidae) from Penang, Malaysia. Sociobiology 57: 19 - 34. 136. Lenz M, CY Lee, MJ Lacey, T Yoshimura & K Tsunoda. 2011. The potential and limits of termites (Isoptera) as decomposers of waste paper products. Journal of Economic Entomology 104: 232 - 242. 137. Foo FK, AS Othman & CY Lee. 2011. Morphology and development of a termite endoparasitoid, Misotermes mindeni (Diptera: Phoridae). Annals of the Entomological Society of America 104: 233 – 240. 138. How YF & CY Lee. 2011. Surface contact toxicity and synergism of several insecticides against different stages of the tropical bed bug, Cimex hemipterus (Hemiptera: Cimicidae). Pest Management Science 67: 734 – 740. DOI 10.1002/ps.2123. 139. Yeap BK, AS Othman & CY Lee. 2011. Genetic analysis of population structure of Coptotermes gestroi (Isoptera: Rhinotermitidae) in native and introduced populations. Environmental Entomology 40: 470 - 476. 140. Neoh KB, NA Jalaludin & CY Lee. 2011. Elimination of field colonies of a mound-building termite, Globitermes sulphureus (Isoptera: Termitidae) by bistrilfuron bait. Journal of Economic Entomology 104: 607 - 613. 141. Neoh KB & CY Lee. 2011. Developmental stages and caste composition of mature and incipient colonies of the drywood termite, Cryptotermes dudleyi (Isoptera: Kalotermitidae). Journal of Economic Entomology 104: 622 - 628. 143. Ang LH & CY Lee. 2011. Absence of reduced biological fitness in insecticide-resistant German cockroaches, Blattella germanica (L.) (Dictyoptera: Blattellidae). International Journal of Pest Management 57: 195 – 204. 144. Tee HS, AR Saad & CY Lee. 2011. Population ecology and movement of the American cockroach, Periplaneta americana (Dictyoptera: Blattidae) in sewers. Journal of Medical Entomology 48: 797 - 805. 145. Foo FK, Veera Singham G, AS Othman & CY Lee. 2011. Prevalence of a koinobiont endoparasitoid Misotermes mindeni (Diptera: Phoridae) in colonies of the fungus-growing termite, Macrotermes gilvus (Blattodea: Termitidae) in Malaysia. Journal of Economic Entomology 104: 1675 - 1679. 146. Foo FK, AS Othman & CY Lee. 2011. Physiological changes in parasitized major soldier of Macrotermes gilvus (Isoptera: Termitidae) induced by the endoparasitoid Misotermes mindeni (Diptera: Phoridae). Journal of Insect Physiology 57: 1495 - 1500. 147. Tee HS, AR Saad & CY Lee. 2011. Evaluation of Aprostocetus hagenowii (Hymenoptera: Eulophidae) for the control American cockroaches (Dictyoptera: Blattidae) in sewers and crevices around buildings. Journal of Economic Entomology 104: 2031 - 2038. 148. Neoh KB, Y. Indiran, M. Lenz & CY Lee. 2011. Does lack of intraspecific aggression or absence of nymphs determine acceptance of foreign reproductives in Macrotermes? Insectes Sociaux: Available Online. DOI 10.1007/s00040-011-0207-5. 149. Wong N & CY Lee. 2011. Relationship between population growth of the red flour beetle Tribolium castaneum (Herbst) and protein and carbohydrate content in flour and starch. Journal of Economic Entomology 104: 2087 - 2094. 150. Neoh KB, J Hu, BH Yeoh & CY Lee. 2012. Toxicity and horizontal transfer of chlorantraniliprole against Asian subterranean termite Coptotermes gestroi: effects of donor: recipient ratio, exposure duration and soil types. Pest Management Science 68: 749 - 756. 151. Hu J, KB Neoh, AG Appel & CY Lee. 2012. Subterranean termite open-air foraging and tolerance to dessication - Comparative water relations of two sympatric Macrotermes spp. (Blattodea: Termitidae). Comparative Biochemistry and Physiology Section A 161: 201 - 207. 152. Lenz M, JW Creffield, TA Evans, B Kard, C Vongkaluang, Y Sornnuwat, CY Lee, T Yoshimura & K Tsunoda. 2012. Resistance of polyamide and polyethylene cable sheathings to termites in Australia, Thailand, USA, Malaysia and Japan: a comparison of four field assessment methods. International Biodeterioration & Biodegradation 66: 53 - 62. 153. Man LS & CY Lee. 2012. Structure-invading pest ants in healthcare facilities in Singapore. Sociobiology 59: 241 - 249. 155. Neoh KB, BK Yeap, T Yoshimura, K Tsunoda & CY Lee. 2012. Do termites avoid carcasses? Behavioral responses depend on the nature of the carcasses? PLoS ONE 7(4): e36375. doi:10.1371/journal.pone.0036375. 156. Bong LJ, KB Neoh, Z Jaal & CY Lee. 2012. Life table of Paederus fuscipes (Coleoptera: Staphylinidae). Journal of Medical Entomology 49: 451 – 460. 157. Lee CC, KB Neoh & CY Lee. 2012. Caste composition and mound size of the subterranean termite Macrotermes gilvus (Isoptera: Termitidae: Macrotermi-tinae). Annals of the Entomological Society of America 107: 427 – 433. 158. Lenz M, B Kard, JW Creffield, TA Evans, KS Brown, ED Freytag, JH Zhong, CY Lee, BH Yeoh, T Yoshimura, K Tsunoda, C. Vongkaluang, Y. Sornnuwat, TA Roland, Sr & MP De Santi. 2013. Ability of field populations of Coptotermes spp., Reticulitermes flavipes, and Mastotermes darwiniensis (Isoptera: Rhinotermitidae; Mastotermitidae) to damage plastic cable sheathings. Journal of Economic Entomology 106: 1395 – 1403. 159. Neoh KB, CC Lee & CY Lee. 2013. Effects of termiticide exposure on mutual interactions between the treated and untreated workers of the Asian subterranean termite Coptotermes gestroi. Pest Management Science 70: 240-244. 160. Ang LH, WA Nazni, MK Kuah, AC Shu-Chien & CY Lee. 2013. Detection of the A302S Rdl mutation in fipronil bait-selected strains of the German cockroach (Dictyoptera: Blattellidae). Journal of Economic Entomology 106: 2167 – 2176. 161. Bong LJ, KB Neoh, Z Jaal & CY Lee. 2013. Influence of temperature on survival and water relations of Paederus fuscipes (Coleoptera: Staphylinidae). Journal of Medical Entomology 50: 1003 – 1013. 162. Bong LJ, KB Neoh, CY Lee & Z Jaal. 2013. Dispersal pattern of Paederus fuscipes (Coleoptera: Staphylinidae) in relation to environmental factors and annual rice crop cycle. Environmental Entomology 42: 1013 – 1019. 163. Lee CC, CN Man, MN Norjuliana, R Lajis & CY Lee. 2013. A simple and sensitive assay using GC-MS for determination of chlorfluazuron in termites. Journal of Pesticide Science 38: 208-213. 164. Bong LJ, KB Neoh, Z Jaal & CY Lee. 2013. Contact toxicity and residual effects of selected insecticides against the adult rove beetle Paederus fuscipes (Coleoptera: Staphylinidae). Journal of Economic Entomology 106: 2530-2540. 165. Tee HS & CY Lee. 2013. Feasibility of cold-stored Periplaneta americana (Dictyoptera: Blattidae) oothecae for rearing the oothecal parasitoids Aprostocetus hagenowii and Evania appendigaster (Hymenoptera: Eulophidae; Evaniidae): Effect of ootheca age and storage duration. Biological Control 67: 530-538. 166. Lee CY. 2013. Urban forest insect pests and their management in Malaysia. Formosan Entomologist 33: 207-214. 167. Mashimo Y, RG Beutel, R Dallai, CY Lee & R Machida. 2014. Embryonic development of Zoraptera with special reference to external morphology, and its phylogenetic implications (Insecta). Journal of Morphology 275: 295-312. 168. Koou SY, CS Chong, I Vythilingam, LC Ng & CY Lee. 2014. Pyrethroid resistance in Aedes aegypti larvae (Diptera: Culicidae) from Singapore. Journal of Medical Entomology 51: 170 - 181. 169. Tay JW, KB Neoh & CY Lee. 2014. The roles of queen, brood and worker castes in the colony growth dynamics of the Pharaoh ant, Monomorium pharaonis (Hymenoptera: Formicidae). Myrmecological News 20: 87 - 94. 170. Kamimura Y, H Mitsumoto & CY Lee. 2014. Duplicated female receptacle organs for traumatic insemination in the tropical bed bug Cimex hemipterus: adaptive variation or malformation? PLoS One 9(2): e89265. doi:10.1371/journal.pone.0089265. 171. Veera Singham G, AS Othman, E Vargo, W Booth & CY Lee. 2014. The advantages of next generation sequencing against the enrichment technique in isolating biomarkers from the termite genome. S1: 2. In: BT Forschler (ed.) Proceedings of the 10th Pacific-Rim Termite Research Group Conference. 26-28 February 2014, Kuala Lumpur, Malaysia. 172. Lee CC, M Che Nin & CY Lee. 2014. Effect of chlorfluazuron bait against Macrotermes gilvus: Evidence for the presence of the toxicant compound in workers and larvae. S4.1: 2. In: BT Forschler (ed.) Proceedings of the 10th Pacific-Rim Termite Research Group Conference. 26-28 February 2014, Kuala Lumpur, Malaysia. 173. Ang LH, Nazni WA & CY Lee. 2014. Indoxacarb resistance in the German cockroach, Blattella germanica (L.) (Dictyoptera: Blattellidae) after subjected to bait selection. pp. 399 - 403. In: Proceedings of the 8th International Conference on Urban Pests. Zurich, Switzerland, G. Mueller, R Pospischil & WH Robinson (eds). OOK-Press Kft, Hungary. 174. Dang K, CS Toi, DG Lilly, CY Lee, R Naylor, A Tawatsin, U Thavara, W Bu & SL Doggett. 2014. Detection of knockdown resistance (kdr) in Cimex hemipterus and Cimex lectularius (Hemiptera: Cimicidae). pp. 113 - 118. In: Proceedings of the 8th International Conference on Urban Pests. Zurich, Switzerland, G. Mueller, R Pospischil & WH Robinson (eds). OOK-Press Kft, Hungary. 175. Tee HS & CY Lee. 2014. Sustainable cockroach management using insecticidal baits - formulations, behavioural responses and issues. pp. 65 - 85. In: Urban Insect Pests -- Future Management Practices (P. Dhang, ed.). CABI International, Oxfordshire, UK. 176. Bong LJ, KB Neoh, CY Lee & Z Jaal. 2014. Effect of diet quality on survival and reproduction of adult Paederus fuscipes (Coleoptera: Staphylinidae). Journal of Medical Entomology 51: 752 - 759. 177. Tay JW & CY Lee. 2014. Influences of pyriproxyfen on fecundity and reproduction of the Pharaoh ant (Hymenoptera: Formicidae). Journal of Economic Entomology 107: 1216 - 1223. 178. Kamimura Y & CY Lee. 2014. Mating and genital coupling in the primitive earwig species Echinosoma denticulatum (Pigidicranidae): implications for genital evolution in dermapteran phylogeny. Arthropod Systematics and Phylogeny 72: 11 - 21. 179. Mashimo Y, RG Beutel, R Dallai, CY Lee & R Machida. 2014. Postembryonic development of a ground louse, Zorotypus caudelli Karny (Insecta: Zoraptera: Zorotypidae). Arthropod Systematics and Phylogeny 72: 55 - 71. 180. Neoh KB, BH Yeoh & CY Lee. 2014. Mortality patterns in Coptotermes gestroi (Blattodea: Rhinotermitidae) following horizontal transfer of non-repellent and repellent insecticides: effects of donor: recipient ratio and exposure duration. Journal of Economic Entomology 107: 1563-1572. 181. Koou SY, CS Chong, I Vythilingam, CY Lee & LC Ng. 2014. Insecticide resistance and its underlying mechanisms in field populations of Aedes aegypti adults (Diptera: Culicidae) in Singapore. Parasites & Vectors 7: 471. 182. Dang K, CS Too, DG Lilly, CY Lee, R Naylor, A Tawatsin, U Thavara, W Bu & SL Doggett. 2015. Identification of novel kdr mutations in the tropical bed bug, Cimex hemipterus (F.) (Hemiptera: Cimicidae). Pest Management Science 71: 1015 - 1020. 183. Lee CC, KB Neoh & CY Lee. 2014. Colony size affects the efficacy of bait containing chitin synthesis inhibitor against the fungus-growing termite. Journal of Economic Entomology 107: 2154 - 2162. 184. Kamimura Y & CY Lee. 2014. Genital morphology and mating behaviour of Allostethus (Dermaptera), an earwig genus of enigmatic phylogenetic position. Arthropod Systematics and Phylogeny 72: 331-343. 185. Lee CY (ed.) 2014. Termites of Singapore -- A Scientific Guide for Pest Management Professionals. Published by Singapore Pest Management Association, Singapore. ISBN 978-981-09-1333-5. 176 pp. 186. Boon JG, R Hashim, O Sulaiman, WNA Wan Nadhari, CY Lee, S Hiziloglu, T Sugimoto, M Sato & MH Ibrahim. 2014. The influence of starch in oil palm trunk particleboard without synthetic adhesive. Lignocellulose 3: 119 - 130. 187. Li H, M Yang, Y Chen, N Zhu, CY Lee, J Wei and J Mo. 2015. Investigation of food polyethism in the fungus-growing termite Odontotermes formosanus using an artificial rearing system in the laboratory. Journal of Economic Entomology 108: 266 - 273. 188. Foo FK, AS Othman & CY Lee. 2015. Longevity, trophallaxis and allogrooming in Macrotermes gilvus (Blattodea: Termitidae) soldiers infected by the parasitoid Misotermes mindeni (Diptera: Phoridae). Entomologia Experimentalis et Applicata 155: 154 - 161. 189. Bong LJ, KB Neoh, Z Jaal & CY Lee. 2015. Paederus outbreaks in human settings -- a review of current knowledge. Journal of Medical Entomology 52: 517 - 526. 190. Tay JW & CY Lee. 2015. Induced disturbances cause Monomorium pharaonis (Hymenoptera: Formicidae) nest relocation. Journal of Economic Entomology 108: 1237 - 1242. 191. Lee CC & CY Lee. 2015. A laboratory maintenance regime for a fungus-growing termite Macrotermes gilvus (Blattodea: Termitidae). Journal of Economic Entomology 108: 1243 - 1250. 192. Tee HS & CY Lee. 2015. Comparative water balance, humidity preference and survival of cockroach oothecal parasitoids Evania appendigaster and Aprostocetus hagenowii (Hymenoptera: Evaniidae; Eulophidae). Journal of Insect Physiology 77: 45 - 54. 193. Tay JW & CY Lee. 2015. Effects of a juvenile hormone analogue pyriproxifen on monogynous and polygynous colonies of the Pharaoh ant Monomorium pharaonis (Hymenoptera: Formicidae). Tropical Biomedicine 32: 453 - 462. 194. Chouvenc T, HF Li, J Austin, C Bordereau, T Bourguignon, S Cameron, E Cancello, R Constantino, A Costa-Leonardo, P Eggleton, T Evans, B Forschler, J Grace, C Husseneder, J Křeček, CY Lee, T Lee, N Lo, M Messenger, A Mullins, A Robert, Y Roisin, R Scheffrahn, D Sillam-Dussès, J Šobotník, A Szalanski, Y Takematsu, E Vargo, A Yamada, T Yoshimura & NY Su. 2016. Revisiting Coptotermes (Isoptera: Rhinotermitidae): a global taxonomic roadmap for species validity and distribution of an economically important subterranean termite genus. Systematic Entomology 41: 299 - 306. 195. Mashimo Y, RG Beutel, R Dallai, M Gottardo, CY Lee & R Machida. 2015. The morphology of eggs of three zorapteran species (Insecta: Zoraptera). Arthropod Structure and Development 44: 656 - 666. 196. Kamimura Y, HS Tee & CY Lee. 2016. Insemination and ovarian fertilization in Marava arachidis, an ovoviviparous earwig species with coercive, traumatic and destructive mating. Biological Journal of the Linnean Society 118: 443 - 456. 197. Kamimura Y, M Nishikawa & CY Lee. 2016. The earwig fauna (Insecta: Dermaptera) of Penang Island, Malaysia, with descriptions of two new species. Zootaxa 4024: 233 - 257. 198. Kanno K, T Kawabata, Y Ishikawa, J Katayama, M Hirao, Y Tabaru, M Watanabe, K Kumon, H Tsuji, K Tanaka, K Saito, T Yoshimura, B Forschler, V Lewis & CY Lee. 2016. Area-wide fly management in the tsunami-affected zones of Tohoku region, Japan. International Pest Control 58: 26 - 33. 199. To TMD, CC Lee & CY Lee. 2016. A survey of the prevalence of endoparasitism by Vertica fasciventris Malloch (Diptera: Calliphoridae) in colonies of Macrotermes carbonarius (Hagen) (Blattodea: Termitidae) in Penang Island, Malaysia. In: Proceedings of the 11th Conference of the Pacific-Rim Termite Research Group. Kunming, China, B. Forschler (ed.). 200. Veera Singham G, AS Othman & CY Lee. 2016. Biogeography history, morphological variation of Macrotermes gilvus and patterns of interaction specificity with its fungal symbiont, Termitomyces sp. in Southeast Asia. In: Proceedings of the 11th Conference of the Pacific-Rim Termite Research Group. Kunming, China, B. Forschler (ed.). 201. Sawamura K, H Sato, CY Lee, Y Kamimura & M Matsuda. 2016. A natural Drosophila population derived from species hybridisation in a D. ananassae complex species on Penang island, Malaysia. Zoological Science 33: 467 - 475. 202. Kamimura Y, M Nishikawa & CY Lee. 2016. A new earwig of the genus Echinosoma from Penang Island, Peninsular Malaysia, with notes on the taxonomic and nomenclatural problems of the genus Cranopygia (Insecta: Dermaptera: Pygidicranidae). Zookey 636: 51 - 65. 203. Kamimura Y & CY Lee. 2017. Ovoviviparity in a tropical earwig species Spongovostox semiflavus (Dermaptera: Spongiphoridae), with possible convergent elongation of male genitalia. Annals of the Entomological Society of America 110: 189 - 196. 204. Foo FK, AS Othman & CY Lee. 2017. Effects of body size on the biological fitness of a koinobiotic phorid parasitoid and on the parasitoid-termite host relationship. Annals of the Entomological Society of America 110: 227 - 232. 205. Tee HS & CY Lee. 2017. Influences of temperature and ootheca age on the life history of the cockroach ootheca parasitoid Aprostocetus hagenowii (Hymenoptera: Eulophidae). Journal of Economic Entomology 110: 213 - 220. 206. Dang K, SL Doggett, D Lilly, G Veera Singham & CY Lee. 2017. Effects of different surfaces and insecticide carriers on residual insecticide bioassays against bed bugs, Cimex spp. (Hemiptera: Cimicidae). Journal of Economic Entomology 110: 558 - 566. 207. Kim D, J Billen, S.L. Doggett & CY Lee. 2017. Differences in climbing ability between Cimex lectularius and Cimex hemipterus (Hemiptera: Cimicidae). Journal of Economic Entomology 110: 1179 - 1186. 208. Lee CC, H Kakao, SP Tseng, HW Hsu, GL Lin, JW Tay, J Billen, F Ito, CY Lee, CC Lin and CC Yang. 2017. Worker reproduction of the invasive yellow crazy ant Anoplolepis gracilipes. Frontiers in Zoology 14:24. DOI 10.1186/s12983-017-0210-4. 209. Dang K, SL Doggett, G Veera Singham & CY Lee. 2017. Insecticide resistance and resistance mechanisms in bed bugs, Cimex spp. (Hemiptera: Cimicidae). Parasites and Vectors 10: 318. DOI 10.1186/s13071-017-2232-3. 210. Ang LH & CY Lee. 2017. Resistance risk assessment in field-collected strains of the German cockroach (Dictyoptera: Blattellidae) to fipronil and indoxacarb baits. pp. 307 - 316. In: Proceedings of the 9th International Conference on Urban Pests (MP Davies, C Pfeiffer & WH Robinson, ads). Birmingham, UK. Printed by Pureprint Group, Crowson House, East Sussex, UK. 211. Liu K, N Fadzly, A Mansor, R Zakaria, N Ruppert & CY Lee. 2017. The dual defensive strategy of Amorphophallus throughout its ontogeny. Plant Signaling & Behavior 12 (10): e1371890. 213. Veera Singham G, AS Othman & CY Lee. 2017. Phylogeography of the termite Macrotermes gilvus and insight into ancient dispersal corridors in Pleistocene Southeast Asia. PLoS One 12(11): e0186690. https://doi.org/ 10.1371/journal.pone.0186690​. 214. Tan MK, T Artchwakom, RHA Wahab, CY Lee, DM Belabut & HTW Tan. 2017. Overlooked flower-visiting Orthoptera in Southeast Asia. Journal of Orthoptera Research 26: 143-153​. 215. Fujita M, S Tomizuka, Y Mashimo, S Shimizu, Y Murakami, CY Lee & R Machida. 2018. Egg structure and outline of embryonic development of the basal mantodean, Metallyticus splendidus Westwood, 1835 (Insecta, Mantodea, Metallyticidae). Arthropod Structure and Development 47: 64-73. 216. Guswenrivo I, H Nagao & CY Lee. 2018. The diversity of soil fungus in and around termite mounds of Globitermes sulphureus (Haviland) (Blattodea: Termitidae) and response of subterranean termites to fungi. pp. 37–52. In: Sustainable Future for Human Security (B. McLellan, ed.). Springer Nature Singapore. 217. Doggett SL, DM Miller and CY Lee (eds). 2018. Advances of the Biology and Management of Modern Bed Bugs. Wiley-Blackwell, London. 439 pp. 218. Lee CY, M Hirao, C Wang and Y Xu. 2018. Bed bug resurgence in Asia. pp. 69–79. 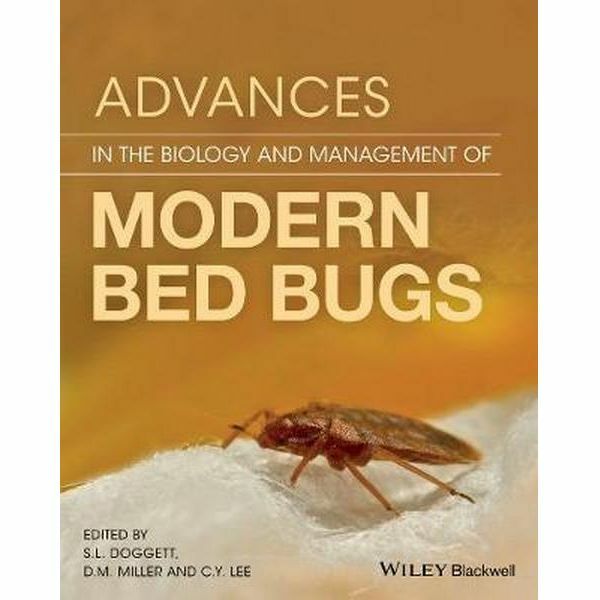 In: Advances in the Biology and Management of Modern Bed Bugs (SL Doggett, DM Miller & CY Lee, eds). Wiley-Blackwell, London. 219. Lee CY, SL Doggett & DM Miller. 2018. Chemical control. pp. 285–310. In: Advances in the Biology and Management of Modern Bed Bugs (SL Doggett, DM Miller & CY Lee, eds). Wiley-Blackwell, London. 220. A Ho-Ohara & CY Lee. 2018. Bed bugs and law - Asia. pp. 409–412. In: Advances in the Biology and Management of Modern Bed Bugs (SL Doggett, DM Miller & CY Lee, eds). Wiley-Blackwell, London. 221. Lee CY, SL Doggett & DM Miller. 2018. Conclusion and Future perspective. pp. 421–427. In: Advances in the Biology and Management of Modern Bed Bugs (SL Doggett, DM Miller & CY Lee, eds). Wiley-Blackwell, London. 222. Gorochov AV, MK Tan & CY Lee. 2018. Taxonomic notes on the cricket subfamilies Nemobiinae and Trigonidiinae (Orthoptera: Gryllidae) from the islands and coasts of the Pacific and Indian Oceans.​ Zoosystematica Rossica 27: 290–321. 223. Lee CY. 2019. Current challenges in urban pest management and vector control in Asia. FAOPMA Newsletter (April): 14–20. 225. Toki W, S Matsuo, PH Thai, P Meleng & CY Lee. Head or tail: different exaggerated morphologies in relation to use of large bamboo internodes in two lizard beetles Doubledaya ruficollis and Oxylanguria acutipennis (Coleoptera: Erotylidae: Languriinae). 226. Liu K, Fadzly N, A Mansor, N Ruppert, CY Lee & NM Azman. Recycling in the forest: rattan litter-collecting structures and relationships with ants. 227. Kamimura Y, CC Yang & CY Lee. Evolution of handedness: fitness advantages of the biased use of paired laterally symmetrical penises. 229. Tseng SP, H Darras, CY Lee, T Yoshimura, L Keller & CCS Yang​. Isolation and characterization of novel microsatellite markers for the longhorn crazy ant Paratrechina longicornis​. 230. Tseng SP, JK Wetterer, A Suarez, CY Lee, T Yoshimura, D Shoemaker & CCS Yang. Phylogeography of the longhorn crazy ant, Paratrechina longicornis and its Wolbachia symbionts: evidence for mitochondrial selective sweep and Wolbachia horizontal transfer​​. 231. Kim D, SL Doggett & CY Lee. Effects of natural and artificial feeding methods on nymphal development and adult fecundity of the Cimex lectularius and Cimex hemipterus (Hemiptera: Cimicidae). 232. Dang K, G Veera Singham, WNF Wan Mohammad, XY Leong, MF Khalid, D Kim, SL Doggett & CY Lee. Detection of multiple resistance mechanisms in field populations of the tropical bed bug, Cimex hemipterus (Hemiptera: Cimicidae). 233. Koou SY, S Chiang, CS Chong, CH Tan, CY Lee and LC Ng. Characterization of kdr mutations in pyrethroid- resistant Aedes aegypti (Diptera: Culicidae) populations in Singapore. 234. Leong XY, DY Kim, G Veera Singham, SL Doggett & CY Lee. Performance of several commercial insecticide formulations against insecticide-resistant tropical bed bugs, Cimex hemipterus (Hemiptera: Cimicidae)​.